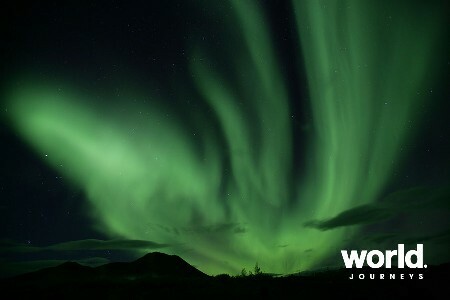 Many photographers visit the Aurora Viewing cabin each winter. The rustic Aurora viewing cabin is 2 miles from the lodge on a mile long lake. 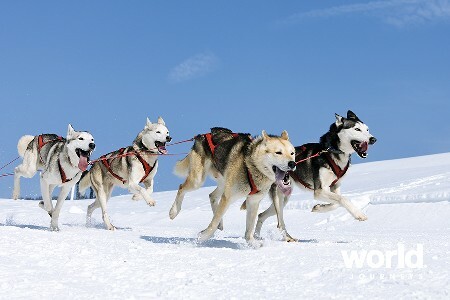 The Lodge staff can arrange a drop off and pick up time at the cabin or if you like to ski or snowshoe one way and they will pick you up or drop you off. Enjoy hot chocolate, tea, or coffee in the warming cabin. There is absolutely no light pollution at the cabin and the lake offers a great 360 degree view of the night sky. 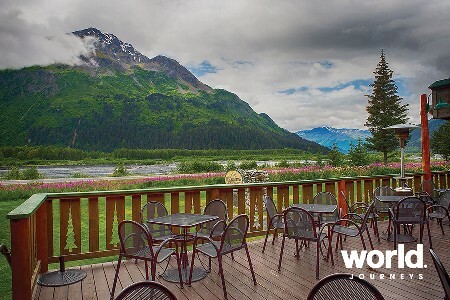 See how the rest of Alaska used to be and only a small part still continue to live. Find some peace away from cell phone service as you imagine life 100 years ago. 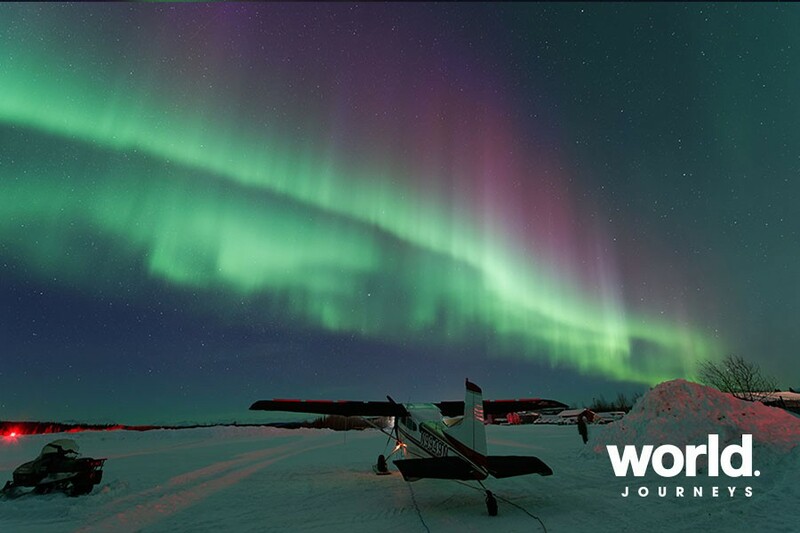 Day 1: Fairbanks > Bettles Lodge (L,D) Depart Fairbanks on your scenic flight to Bettles Lodge (approximately 1 hour) over the Yukon River and above the Arctic Circle with experienced and knowledgeable Alaskan pilots. The Bettles Lodge staff will greet you at the airplane to take your luggage and show you to the lodge for check in. 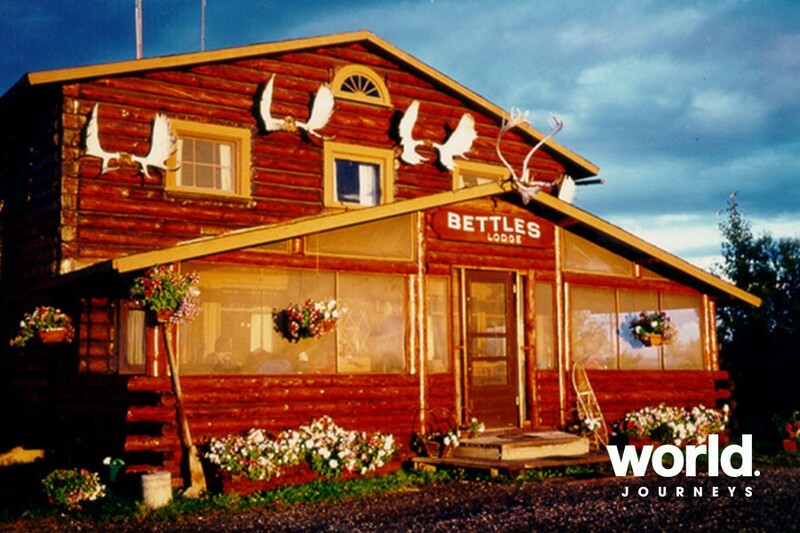 Once checked-in, you will be escorted by your knowledgeable guide, for a tour around the Village of Bettles. Bettles is isolated from the outside most of the year, with only an ice road two months in the winter. 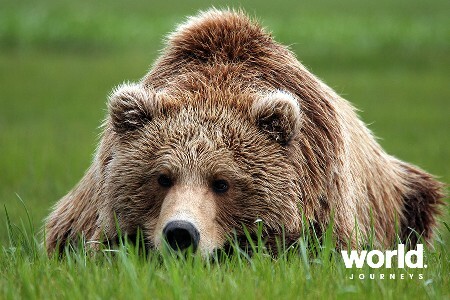 Find some peace away from cell phone service and the electronic world to enjoy the beauty and serenity of the wilderness. After dinner, guests can relax while waiting for the Aurora Borealis at the lodge or Aurora viewing cabin. 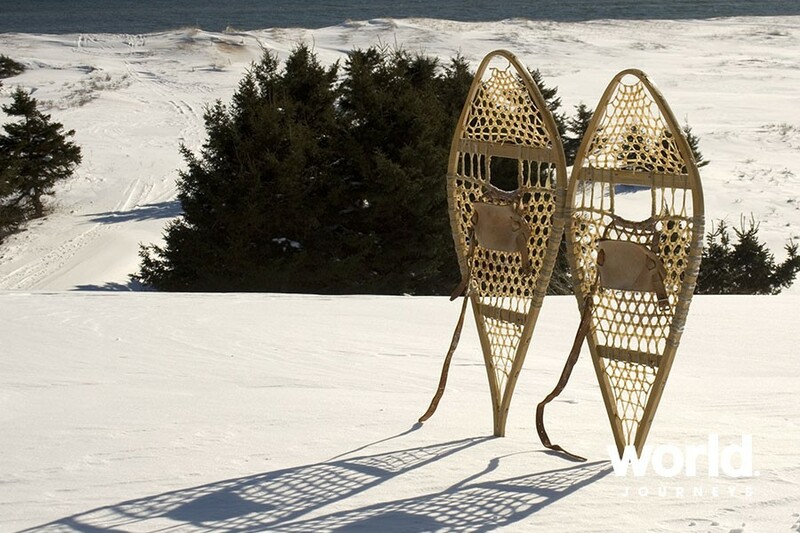 Day 2: Bettles Lodge (B,L,D) After breakfast, enjoy a guided snow shoe excursion or a self-guided cross country ski around the lodge. In the evening, enjoy a bonfire out by the fire pit. 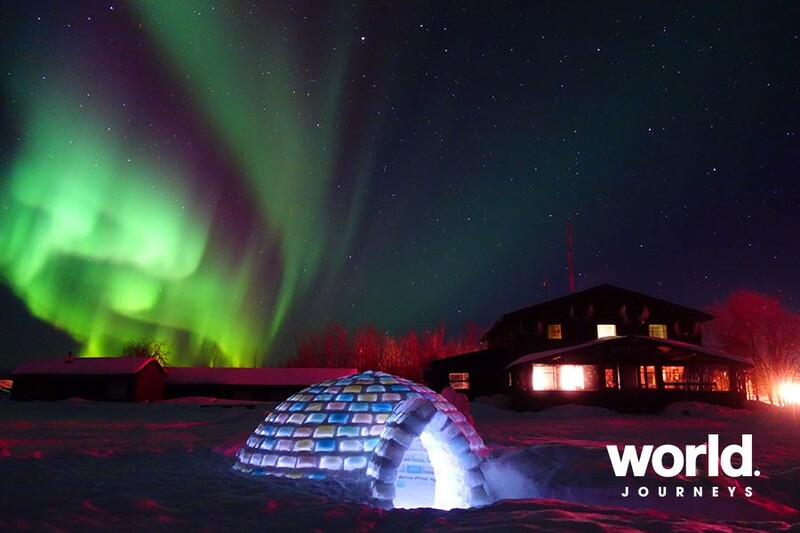 Guests will have time at leisure, to enjoy the Aurora Borealis. 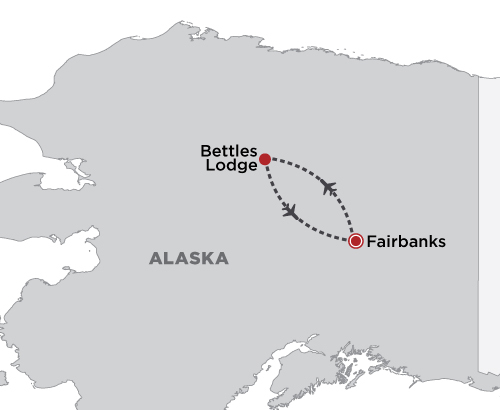 Day 3: Bettles Lodge > Fairbanks (B) After breakfast at the lodge, depart on your scenic flight to Fairbanks. Luggage Restrictions • 40 pounds / 18 kilos per person • Soft sided luggage only • Recommended that guests only bring a carry on size bag size bag and leave the remaining luggage in storage. 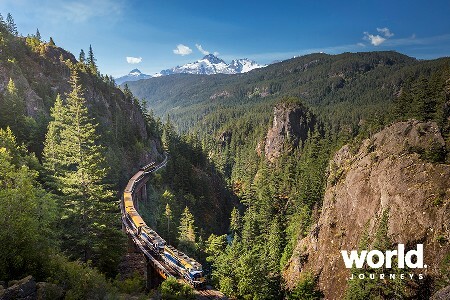 • A 50% non-refundable deposit is required at time of booking. 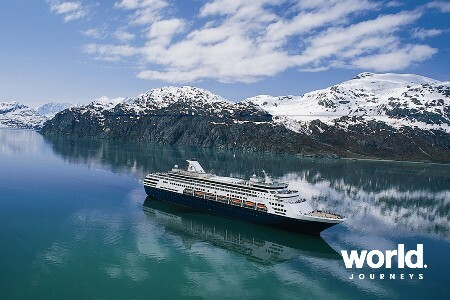 • Occasional extreme weather can delay flights, It is recommended booking 1 night pre/post tour.